If you have already embarked on one of the orthodontic journeys, known as Invisalign, then you have clear retainers that you will use to guide all your teeth to the right shape. However, the achievement of a perfect smile is not same as popping in the retainers. Proper caring for the Invisalign retainers is important in obtaining great results and avoiding costly replacement of the retainers. Caring for Invisalign retainers is easy and you will only need a few minutes to do that each day. You will have to get into a habit of cleaning the Invisalign retainers each time your brush the teeth – at the morning and evening. To clean the Invisalign properly, you will require a toothbrush, toothpaste or retainer brush, denture or retainer cleaner. Start by rinsing the Invisalign under warm water that is not very cold or hot. Apply the toothpaste to your soft-bristled retainer brush or toothbrush. https://classicsmiles.com.au/ advises you to use circular motions to brush the whole retainer on the inside and the outside gently. After brushing the inside and the outside completely, rinse the Invisalign for another time under lukewarm water. At this stage, you should inspect the Invisalign retainer for tartar or calcium build up. Just as you expect with your teeth, Invisalign retainers are prone to tartar buildup. The tartar appears as cloudy white films on the Invisalign and it is hard to remove with a soft-bristled toothbrush. 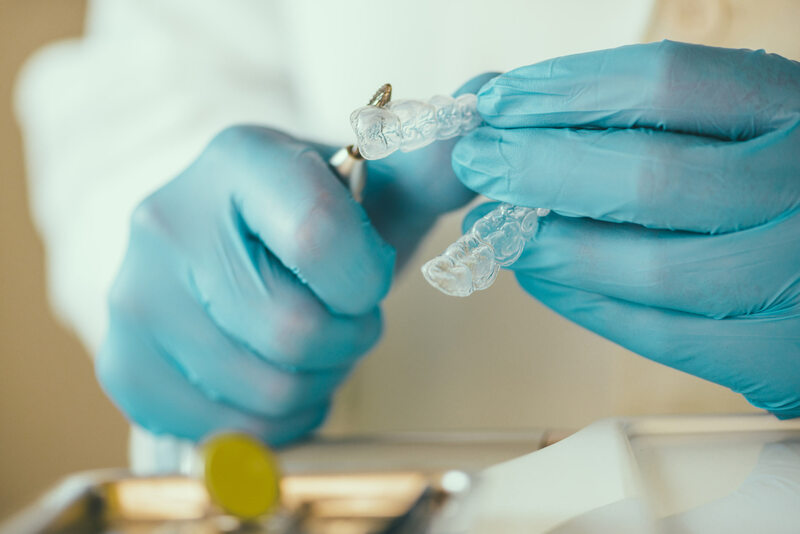 In case of calcium buildup, you should soak the retainer in an Invisalign or denture cleaning solution according to your orthodontist’s recommendation. Invisalign provides the Invisalign Cleaning System designed for the Invisalign retainers but any retainer or denture-cleaning solution will do a good job. After you have cleaned the Invisalign retainer, place it in your mouth or wait for it to dry. Regular cleaning of the Invisalign retainers is just a part of retainers caring. You have to clean it each time you brush your teeth or floss. You can remove the retainer when eating or drinking because any food particles or plaque stuck in the retainer or in the teeth can lead to tooth decay and your retainer will smell bad – you should keep it clean. Ensure that the cleaning solution you use does not contain any harsh chemicals because they could easily corrode the retainer. To be on the safe side, you should check with your orthodontist before you use any solution. Never soak the Invisalign in mouthwash. Invisalign retainers are colorless but they can easily absorb the color of the mouthwash and leave you with a tinted retainer. If you have plastic (resin) Invisalign retainers, you should not rinse them with hot or warm water. Warm water can distort the shape of the retainer and make it ill-fitting. If you already used hot or warm water to clean the Invisalign retainer, take it to the orthodontist to ensure that it is still fitting properly. When an orthodontist advises you to move to another set of Invisalign retainers, you should clean the previous one thoroughly and store it in the case. You might be needed to wear the previous retainer in some instances. By keeping your retainer clean and free from bacteria, you will eliminate any left residue or odor. Remember that coffee or tea can stain or distort the plastic.